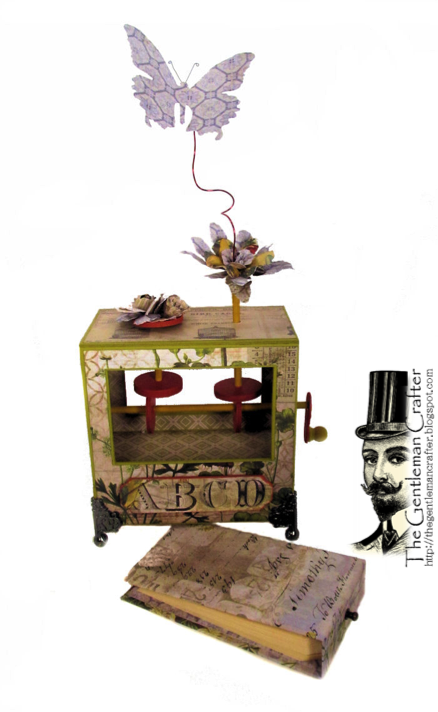 The Gentleman Crafter: The Butterfly Automata is Now Available! Wow! It sure is humid today! If I sit inside, I get too cold from the air conditioner...If I sit outside I'm dripping! LOL! I'm really missing the cool breezes coming in from the Tyrolean Alps! If I misspelled that let me know...LOL! Automata [aw-tom-uh-tuh] A mechanical figure or contrivance constructed to act as if by its own motive power. Which basically means, turn the handle and the project moves. 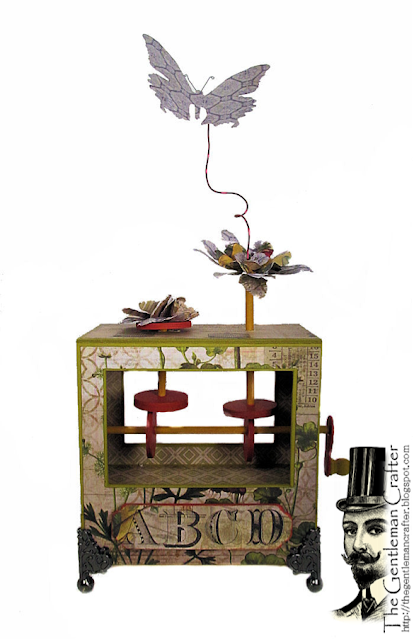 With the Butterfly Automata you will turn the handle and the flowers and butterflies spin and go up and down. Looks hard? NO, just be patient as it take a second to get everything just right to move properly. Each one will be different and that’s the joy of automata. The Butterfly Automata has a side opening tag book for all those technique ideas that spin around in your head. Next week, I have a new cool smaller book tutorial coming! I'm in love with it...Hope you come by next Friday and check it out! Love it - do you have a video?